Aside from studies on one or two species, not much is known of vanga reproduction. Like most Malagasy passerines, the breeding season is from October to December, in the early part of the warm rainy season. Most species lay two or three eggs, whitish or pinkish with dull reddish or brown speckles, in a cup-shaped nest, constructed by both male and female. 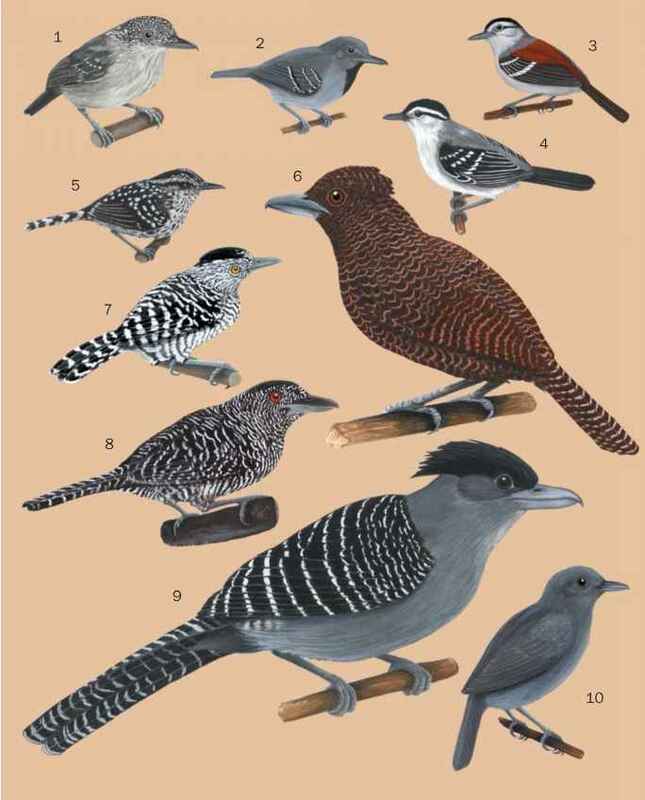 Hook-billed, rufous, helmet, sicklebilled, and the Xenopirostris vangas place their nests in a tree fork between 3 and 16 ft (1-5 m) from the ground. The smaller species, especially Ty-las, blue, Chabert's, and nuthatch vangas, place their nests higher in the canopy, and so are more difficult to study. Nuthatch vangas attach their nest to a main trunk, often in a slight crevice. Blue vangas choose a site near the end of a branch near the crown, as do Chabert's vangas. By far the best studied species is the rufous vanga, which has a cooperative breeding system where young males contribute to the upbringing of the young. Several species of vanga produce beautiful calls. The rufous vanga produces a wide array of echoing and bell-like noises, many as a duet between male and female of a pair. Helmet vangas, apparently the closest relation to the rufous vanga, make similar calls, while the Xenopirostris vangas are easily detectable via their piercing descending whistle. Social species like the sicklebilled vanga make a lot of contact calls, and the Malagasy name of this species, Voronzaza (baby bird), reflects accurately a particular call that sounds like a baby crying. The red-shouldered and red-tailed vangas sing loud simple songs from the canopy, while the nuthatch vanga barely makes any discernible sound at all. 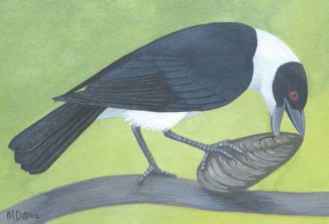 The hook-billed vanga is unusual in clapping its bill together as part of a threat display.